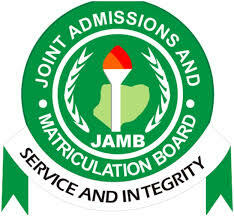 JAMB Christian Religious Knowledge Syllabus 2019 is Out…The C.R.K 2019/2020 JAMB Unified Tertiary Matriculation Examination (UTME) Syllabus is aim at preparing candidates for the Board’s examination. Identify man’s role in advancing God’s purpose in creation. Analyse the achievements of these leaders. Identify the different occasions when God provided for Israel. Describe how Asa pleased God. Identify why God forgave David. Analyse the decisions made by Saul, Solomon and Rehoboan. Assess the consequences of Solomon and Rehoboam’s unwise decisions. Analyse the consequences of Ahab and Gehazi’s greed. Differentiate between God’s power and that of Baal. Assess the significance of the reforms. Analyse the effects of the faith of the four men on the Babylonians. Emulate the example of the Ninevites. Analyse Hosea’s portrayal of divine love and human response. Determine the need for God’s people to be holy. Determine the benefits of restoration. Give reasons why Jesus taught in parables. Associate the rewards for obedience with the sermon on the Mount. Assess the outcomes of the missions. Examine how the cleansing of the Temple caused hostility towards Jesus. Evaluate the significance of the Last Supper. Deduce the lessons of the death of Jesus. compare the personalities involved in the stories. interpret the meanings of the symbols used by Jesus about Himself. evaluate the significance of love. examine how communal living helped the growth of the Early Church. analyse the mission of the Church. evaluate the importance of persecution to the growth of the Church. account for the persecution of Paul. assess Paul’s role in the mission to the Gentiles. identify the place of the Law among the Jews. identify the rewards of humility. analyse the benefits of spiritual gifts to the individual and the church. relate the teachings of Paul on Christian giving. specify the requirements of good citizenship. indicate what will happen during His Second Coming. distinguish between effective and ineffective prayer. identify the importance of prayer. examine the importance of maintaining good relationships. identify the causes of corruption. determine the effects and consequences of corruption. identify ways of curbing corruption. identify what constitute sexual immorality. determine the causes of sexual immorality. examine the effects and consequences of sexual immorality. identify ways of curbing sexual immorality.